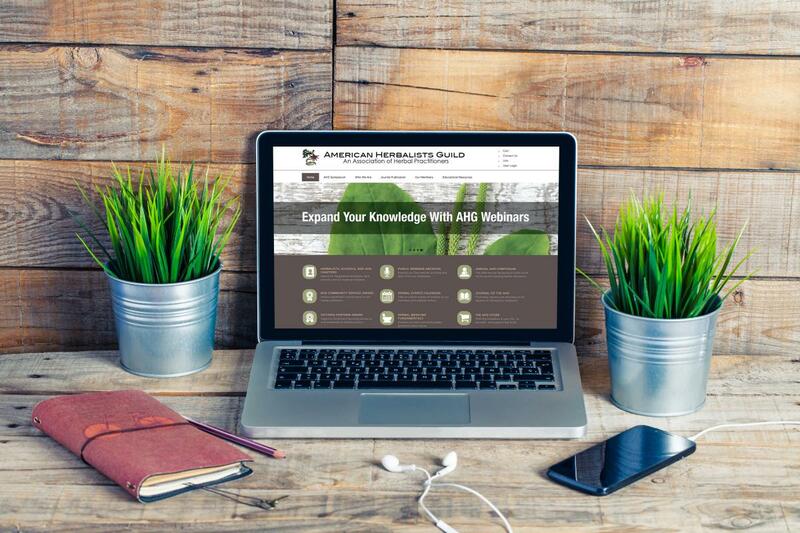 Expand your knowledge with AHG Webinars for Herbalists! The American Herbalist Guild is happy to offer monthly webinars that are free and open to the pubilc. Recordings will be archived at a future date and are accessible for AHG members anytime! Join the American Herbalists Guild now to benefit from these important educational offerings! If you'd like to sample our webinars, we have a free public webinar archive. You can check out our upcoming free Webinars for Herbalists here. AHG Webinar Intensives for Herbalists offer an opportunity to dive in and develop your clinical skills and knowledge while learning from some of the best and brightest teachers in the field of herbalism. Go in depth with Webinar Intensives for Herbalists! Go here to check out our upcoming intensives and purchase recordings of past intensives. Our live webinars are hosted on Zoom, a reliable cloud platform for both mobile devices and desktops. If you have any questions or technical issues please email Michele Marlow, our webinar assistant. The American Herbalists Guild would like to thank Leslie Alexander for the many volunteer hours she has spent over the years helping us to find presenters for our free Webinars for Herbalists. The AHG staff thanks you, our members thank you, and our herbal community appreciates your efforts so much. Please email Leslie if you have input on topics or presenters you would like to see in future webinars. Disclaimer: The views, information, and/or opinions expressed during these webinars are solely those of the presenter involved and do not necessarily represent those of the American Herbalists Guild. The American Herbalists Guild is not responsible, and does not verify for accuracy, any of the information contained in these webinars. The primary purpose of this webinar is to educate and inform. This webinar does not replace the need for medical or other professional advice or services.